Help Viewer 2.0 (the Help system for VS 11 and Windows 8) beta is now available via the Windows 8 / VS 11 Consumer Preview release. The Win 8 and VS 11 Beta are freely available from the MS website. The VS 11 and Win 8 help viewers are different but they share the same runtime files and Help API. To learn more about the API and how to create your own Help Viewer I have created a site containing documentation and demos. 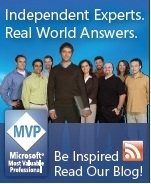 The demos were created in partnership with the Microsoft MSDN team. Enjoy -- Rob.